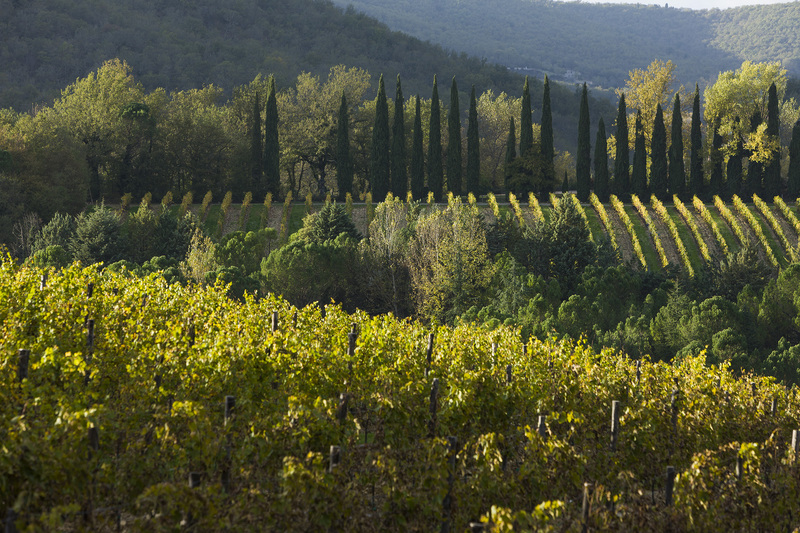 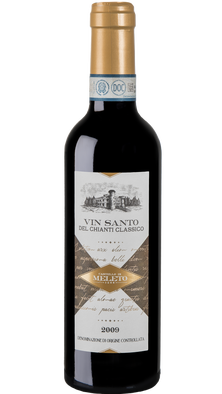 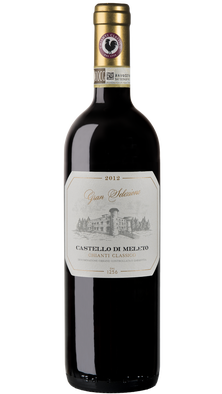 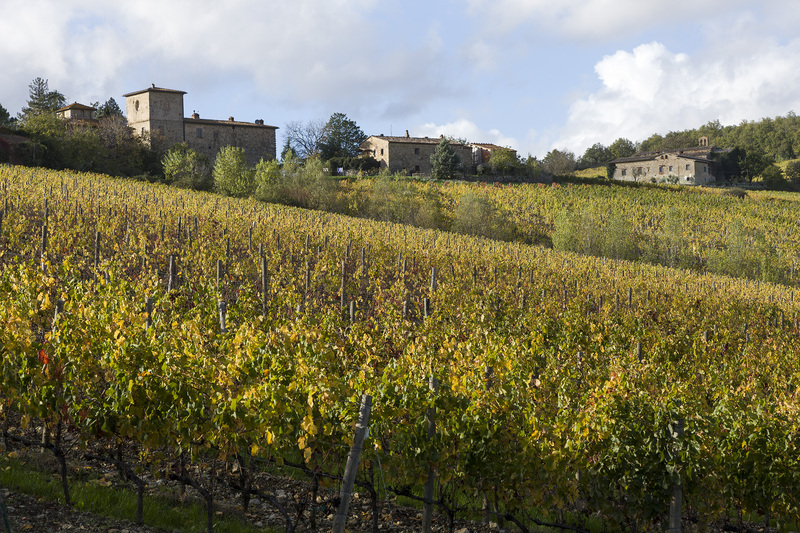 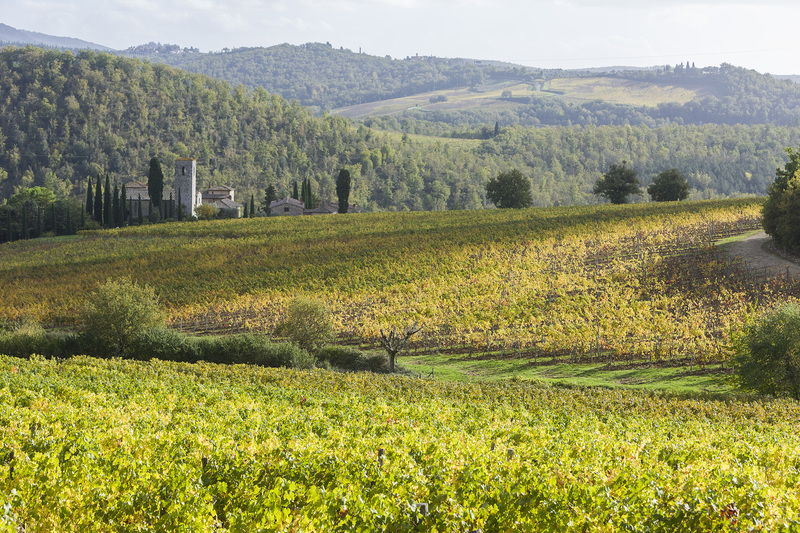 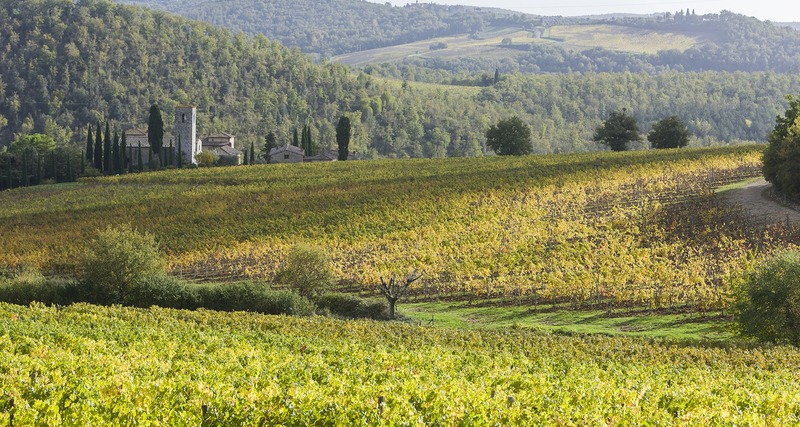 The San Piero vineyard borders Pieve di Spaltenna, a 10th century church owned by Castello di Meleto, and extends to the village of Gaiole in Chianti at 390 meters of altitude. 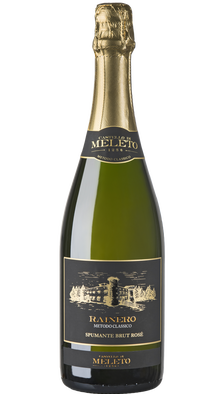 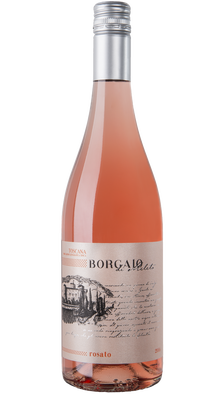 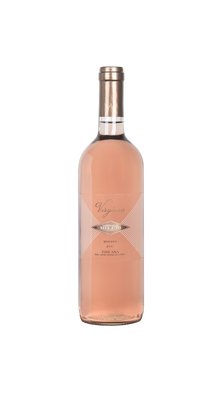 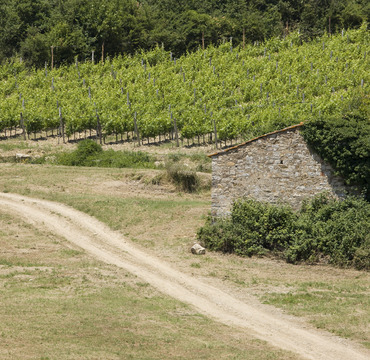 The open and well-ventilated area allows the vines to remain healthy and dry and imparts on them an element of freshness. 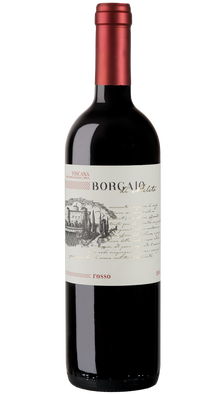 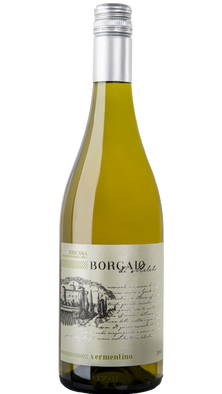 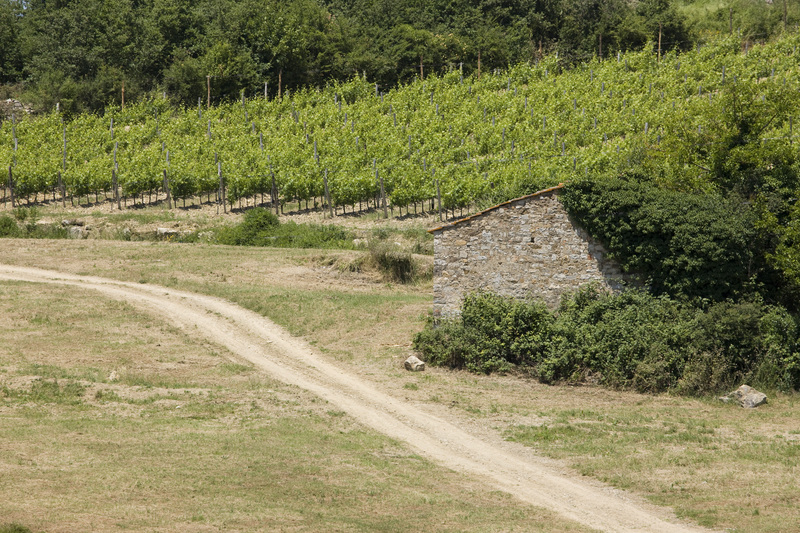 Here the soil is rich in stone and Sangiovese, Vermentino, Trebbiano Toscano, Merlot and a small selection of Canaiolo grow side by side. 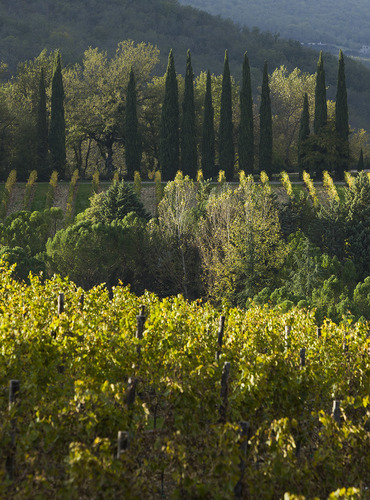 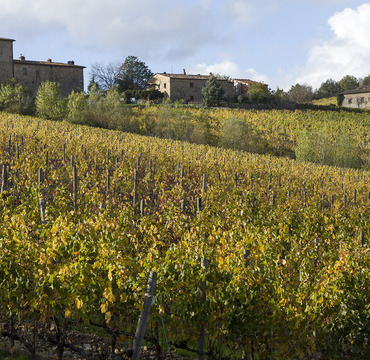 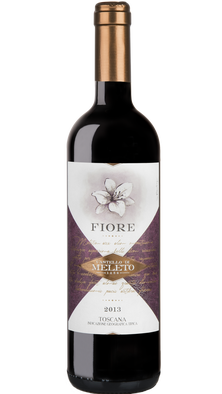 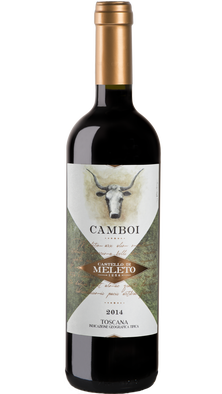 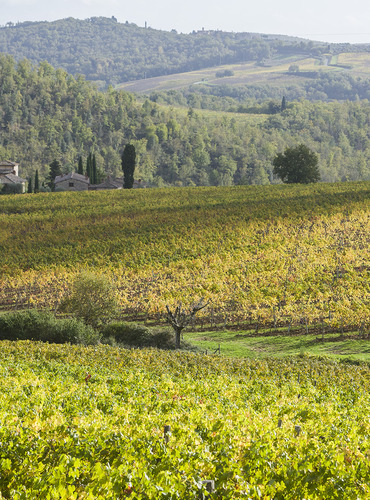 The Camboi vineyard, from which the wine of the same name is produced from 30-40 year old vines of Malvasia Nera del Chianti, is also found here.